The world of CBD in the post-Farm Bill era is moving away from small-scale producers and local, independent retailers. As the U.S. CBD industry continues to move toward the mainstream – both in terms of target consumers, production and retail channels – producers who have positioned themselves to reap the benefits of economies of scale and leverage the capacities offered by massive retail chains will quickly out-run less-prepared competitors. This is because we expect greater than 60% of CBD sales – more than $13 billion in revenues – will be channeled through chained retailers in 2022. CBDfx, a current industry leader in hemp-derived CBD products, is one of the companies getting into the space early, developing relationships with chained retailers, and proving their reliability and product quality. 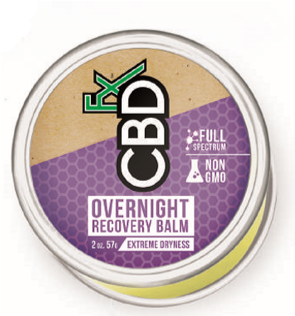 Building on their experience and customer relationships from the mass retail and chain partnerships they've developed over the years growing other brands, CBDfx brand has cultivated a large following backed primarily by its high-quality CBD, wide product variety, and professional branding. 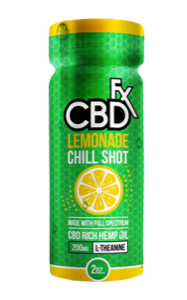 CBDfx has been particularly successful at designing CBD products that are well-suited to the checkout aisle and convenience store check-out counters. The brand’s 2-ounce Chill Shot, for example, is a lemonade-flavored drink with packaging in the familiar style of 5-Hour Energy. These shots and their display cases – made especially for register countertops – are helping CBDfx corner the consumer prone to impulse buys. What’s more, these Chill Shots and the brand’s foray into gummies, topicals and balms, are designed with a broader consumer base in mind. CBDfx is expanding beyond vape juice and tinctures to develop products more approachable for mainstream consumers, which will no doubt allow them to better compete in retail chains when this distribution channel opens en masse to the CBD industry. The Farm Bill’s legalization of CBD has created a huge demand from both traditional hemp CBD consumers and more mainstream consumers, some of whom will be exposed to CBD products for the first time over the short-to-medium-term at familiar chain retail stores. Once trusted retail giants like Walmart, Rite Aid, Target, etc. lend the full weight of their names and reputations to the CBD industry, Brightfield Group projects demand and sales to skyrocket. Companies like CBDfx are expected to successfully leverage their experience operating with smaller chains to effectively tap into this market potential and scale very quickly as a result.